The term Hollywood Media Bridge (HMB) or ‘us’ or ‘we’ refers to the owner of the website whose registered office is 100 Universal City Plaza, Universal City, 91608, USA. The term ‘you’ refers to the user or viewer of our website. Any transactions charged through this site will appear on your credit card statement as charged by Accomplish Any. 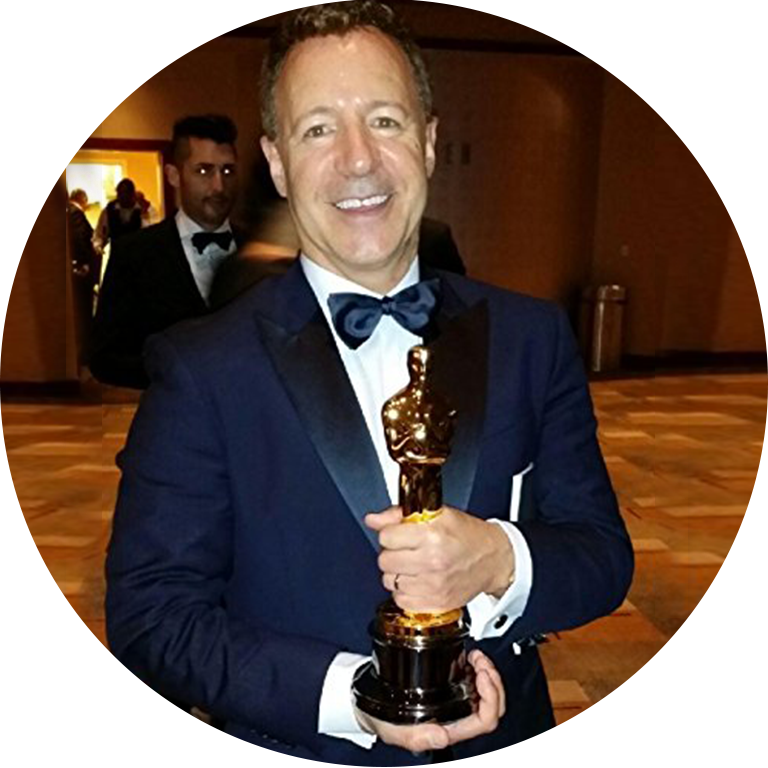 As a Film and Television Producer, he has worked on Studio Films for every Major Film Studio and Television Network including Warner Bros., Disney, MGM, Universal, Twentieth Century Fox, Paramount and Sony as well as the major networks including CBS, Reelz Channel, A&E Television networks, National Geographic, Netflix and others. He has produced entertainment in every genre including, but not limited to: Comedy, Action, Thrillers, Drama, Science Fiction and Documentaries. Some of those titles include FIRST KID for Disney, EXIT WOUNDS, CHRISTMAS STORY 2 and DUKES OF HAZZARD: THE BEGINNING, as well as the LOST BOYS series of films for Warner Bros. In addition, some of his credits include popular films like DISTURBING BEHAVIOR for MGM and this year Lionsgate released the popular Christmas film SAVING CHRISTMAS, while having the Iconic Shirley Maclaine star in THE LAST WORD. Over the past year, he has produced 15 motion pictures that will debut in 2018 and 2019. Some of those titles include DAMASCUS COVER, PONY WITH A BROKEN WING, EDGE OF FEAR, DARC and BATTLE DRONE.